Antarctica Has the Mountain Ranges Which Is Bigger Than The Manhattan Deep Beneath Its Ice: Mountain ranges and valleys hundreds of miles long have been sitting deep beneath Western Antarctica’s vast ice region, a discovery that scientists say could contribute to rising global sea levels. A team of British researchers used to ice-penetrate radar to map the subglacial landscape, which they say adds a critical piece of evidence to understand the frozen continent’s past, present and future behaviour. The researchers discovered three valleys linking Antarctica’s two major parts: The Western Antarctic Ice Sheet and the far bigger Eastern Antarctic Ice Sheet. 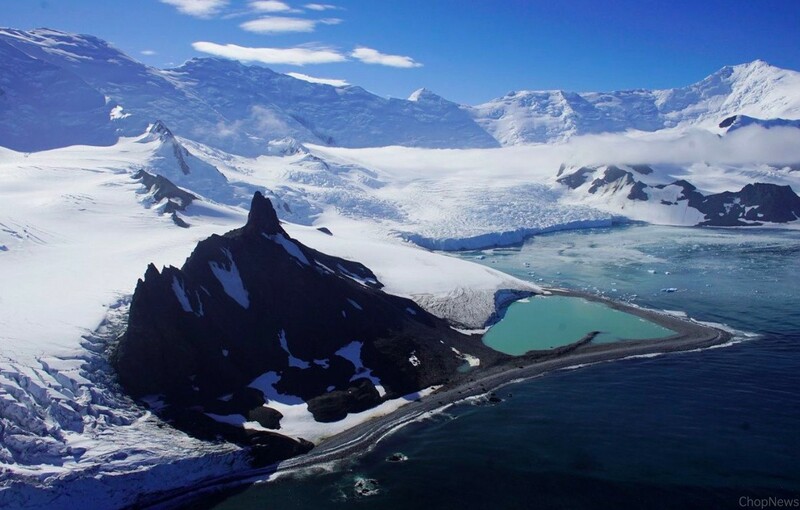 The newly discovered landforms prevent ice from East Antarctica from flowing through West Antarctica and to the coast. But the ice sheets are thin because of a warming temperatures. These valleys and mountain ranges can increase the speed and rate at which ice flows out from the centre of Antarctica to its edges, leading to an increase in the global sea levels, said Kate Winter, the study’s lead author and a research fellow at the Northumbria University. Understanding how the East and West Antarctica ice sheets interact is fundamental to our understanding of past, present and future global sea level, said Neil Ross, a senior lecturer at Newcastle University. The biggest of the valleys, called Foundation Trough, is 217 miles long, nearly equal to the distance between Washington, District of Columbia, and New York City. Its width is more than 20 miles, longer than Manhattan island. The other valley is called Patuxent Trough, is nearly 200 miles long and 9 miles wide. The smallest, the Offset Rift Basin, is 93 miles long and 18 miles wide. The research was part of the European Space Agency’s Polar GAP project, an ambitious mission to collect data about the Earth’s global gravity field, and was published earlier this month in the Geophysical Research Letters journal. Fausto Ferraccioli, the principal investigator of the Polar GAP project, said the findings provide a significant window into the South Pole region, one of the least understood frontiers in the whole of Antarctica. These new Polar GAP data gives us both insights into how the landscape beneath the ice influences present ice flow, and a better understanding of how the parts of the high Antarctic ice sheets near the South Pole can, and cannot, evolve in response to glaciological change around their margins, Ferraccioli said. Winter told NBC News that they had expected to find a mountainous region, but not the enormous size of the landforms. Research has shown that Antarctica’s coastal glaciers, particularly in West Antarctica, are retreating at an alarming rate, raising concerns about the massive continent’s potential contribution to rising sea levels. Last month, a new satellite survey revealed that 10 percent of Antarctica’s coastal glaciers are moving at a significant speed back toward the centre of the continent as they melt below, The Washington Post’s Chris Mooney reported. In West Antarctica, more than 20 percent of coastal glaciers were retreating faster than 25 meters, or 82 feet, per year. The situation is not as bad in East Antarctica, although the area’s largest glacier is also retreating at a fast rate. So, these are the points to describe on Antarctica Has the Mountain Ranges which is Bigger Than the Manhattan Deep Beneath Its Ice. On the going through of the Article, please comment your suggestions.